Bob Boze Bell's Big Bad Book of Bad Diary Entries: Attempted Murder? One of the strangest terms in the English language is the delineation of a "murder of crows," as in a flock of geese. 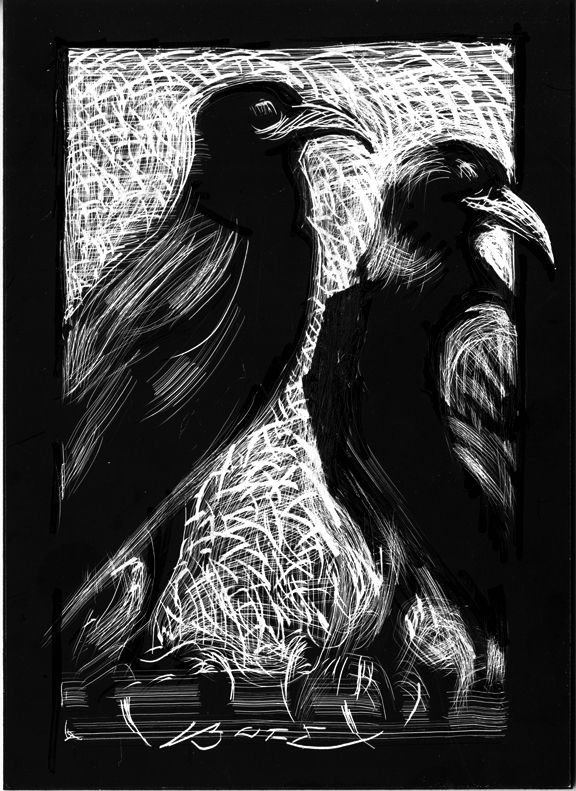 Anyway—bad joke ahead!—does that make this scratchboard. . .
Daily Whip Out: "Attempted Murder"
"When your fear of not being successful exceeds all other fears, you will become successful."